Guests visiting Pandora – The World of Avatar will fly on the back of a mountain banshee at one of its major attractions, Avatar Flight of Passage. Soaring on the back of one of these powerful winged creatures represents an important rite of passage for the Na’vi. 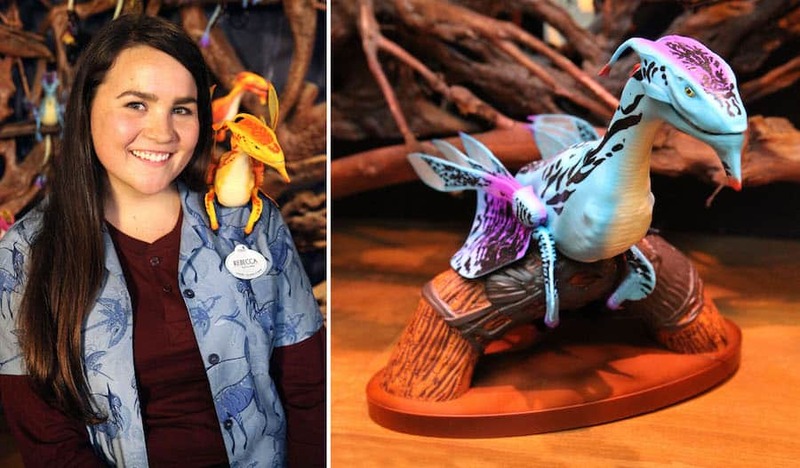 Today, I’m thrilled to announce a new way for guests to connect with these animals at The Rookery inside Windtraders, the primary merchandise location on Pandora. 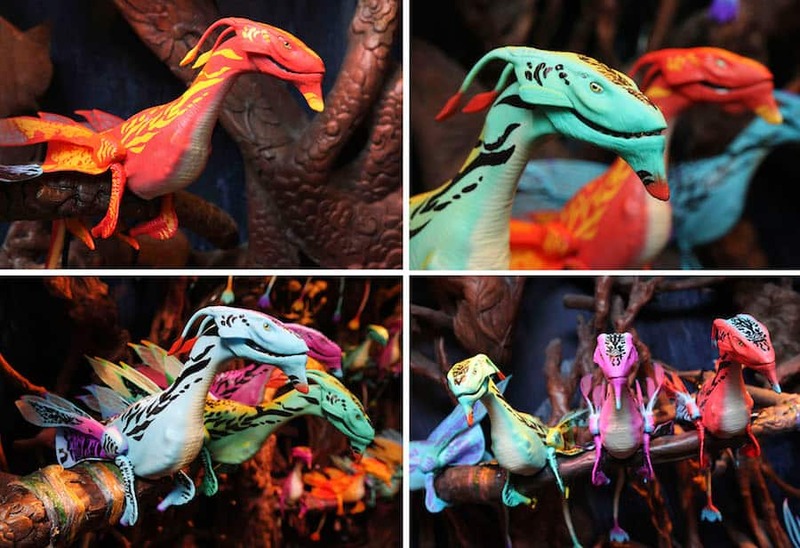 Cody Hampton with Disney Parks Merchandise gave me a first look at these new interactive creatures, and explained how they continue the tradition of immersive storytelling found at Disney Parks. Guests can either display a banshee on their shoulder or cradle them in their arms. We will also offer a banshee perch that is sold separately. 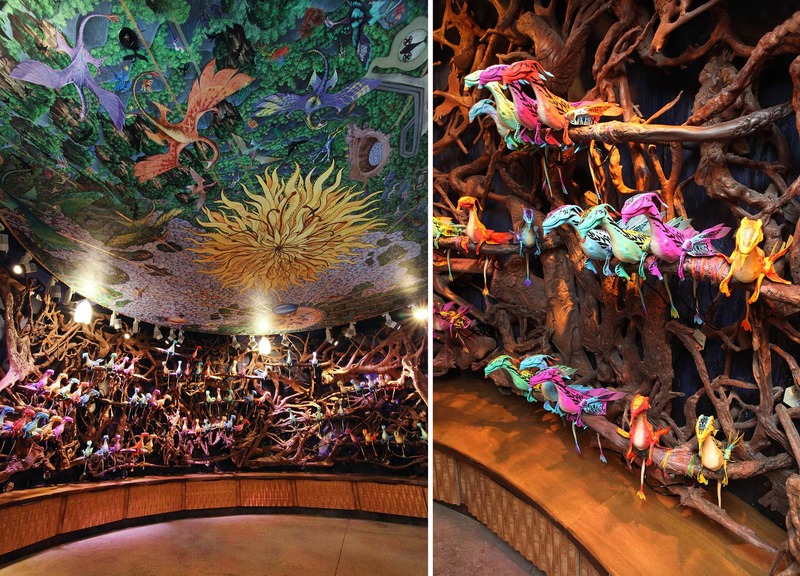 Cody shared one final Pandora detail that ties back to the core ideas of Disney’s Animal Kingdom. When you see other banshee keepers on Pandora, or back at Disney’s Animal Kingdom, please greet them with “Oel Ngati Kameie” (“I See You”), the traditional Na’vi phrase of greeting and respect. I would love to connect with a mountain banshee. I’m absolutely obsessed with not only them, but every animal of Pandora- the culture of the Na’vi, their way of life; it’s amazing. Banshees are completely sold out, no word on when they’ll restock, no pre-order, no options, you’re pretty much SOL no one knows anything, no more banshees I repeat, NO MORE BANSHEES!!! SMH!!! ? 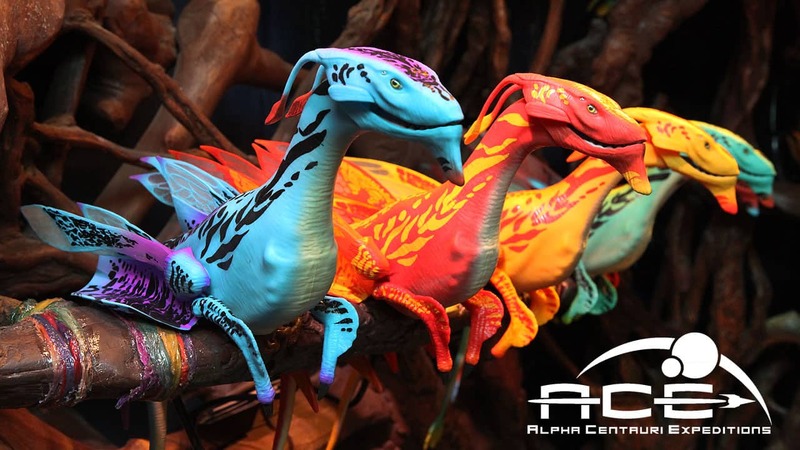 @Aztrid – Banshees are currently available at Windtraders in Pandora – The World of Avatar. My daughter and I went today to AK today before the park even opened. We went to Pandora first and within 20 minutes went on the Flights of Passage (incredible ride!) and as soon as it was over we went straight to windtraders so that she could buy the Banshee she has saved her money for. We get there and they are completely sold out. After we spoke to a cast member we were told that they have been sold out of the banshees since Friday and that nobody knows when they will be restocked. This is my only complaint as my daughter had been looking forward to adopting her own banshee. But this is my only complaint as Pandora is truly amazing!! They did a wonderful job with it. Ps. If you are looking to ride the Flight of Passage I would get there before the park opens. By midday the cue line had gotten to about 4 hrs and 45 minutes. We went on June 21st and a fresh batch was just born, and they were being adopted quickly. We adopted one for our daughter and one for our son. They are very cool, but a word of advise… make sure it fully works before you leave. Our son’s was broken and we did not find out until we had returned to the hotel. After several calls to the merchandise number (they can’t sell you one), we found someone that was will to actually call Windtraders for us and make sure we could make the exchange. So, we returned to Pandora (a magical journey) that afternoon and made the exchange. 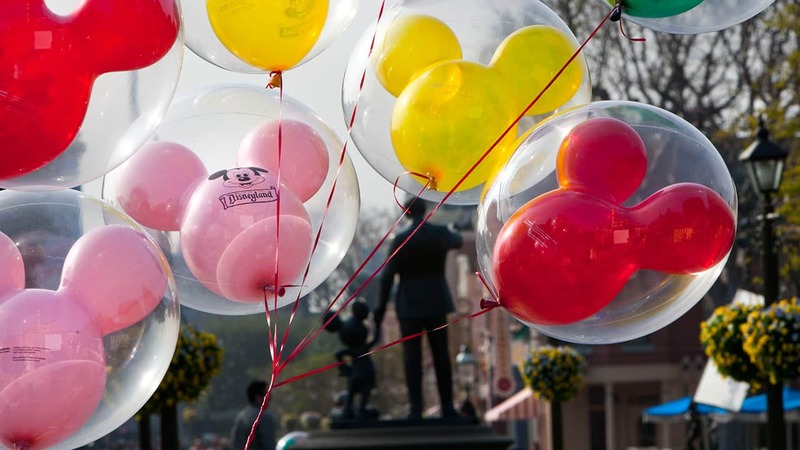 Although all ended well, Disney should make sure there is an easier way for the merchandise representatives to assist customers during a time of anxiety (e.g., hold reserves back for such issues). Also, I would not mind them providing a passholder discount on these adoptions. We visited AK on 6/15, and they were sold out in the afternoon. One of my sons really wanted one, so we decided to get up for park opening on 6/16 to check, and they had them. Then, my other son wanted one, so we went back about 7 hours later, and they were sold out. AK opened for EMH at 7 am on 6/17, so we decided to get up early again. We were first in the store, and they had them, but it looked like they only had about 50. So, they may be getting daily shipments or limiting the number they sell per day. But your best bet is to get there very early. They had more as of 06/09/2017! It seems they are going to be restocking regularly! SOLD OUT! DON’T EVEN TRY TO FIND ONE! Not even a week and they are sold OUT! Unbelievable. 50.00 plus FL tax seems a little high considering you will have to feed it when you get home. very interesting, but look very much like a longtime shoulder pet available for many years at various Renaissance festivals around the U.S. Maybe I’ll have my daughter wear her wood baby in to Pandora! This looks awesome. I’ve been watching pandora’s progress for years and now I’m super excited to see it all come to life! I’ll definitely have to check out the Rookery when I visit!! How much will these Banshees cost? 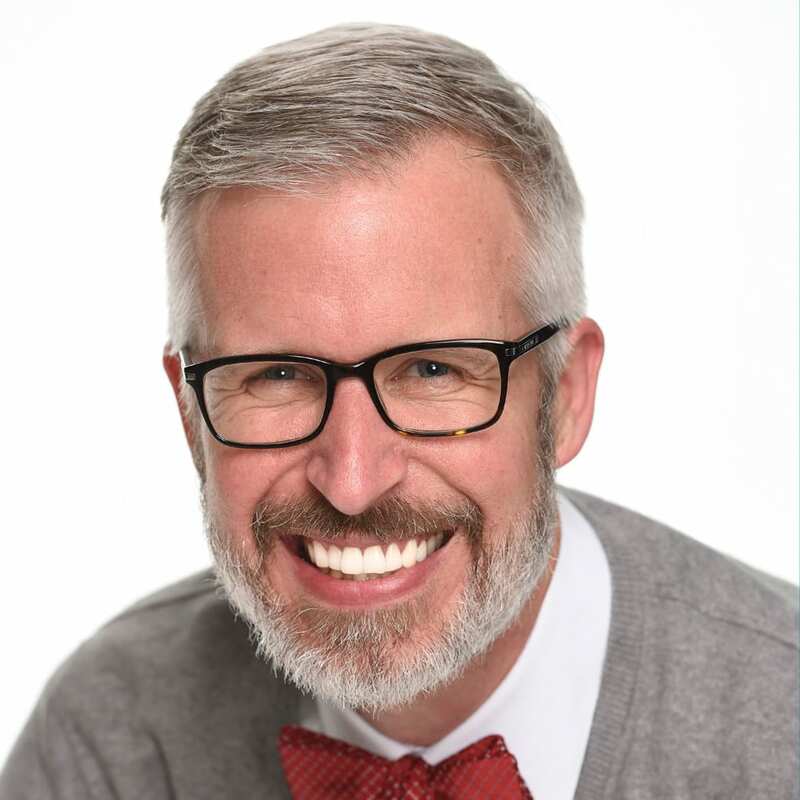 Another great article! By chance do you know if these will be limited? Also since I saw two I want the Blue and Orange ones can we buy two at a time or do we have to get back in line for the second one?